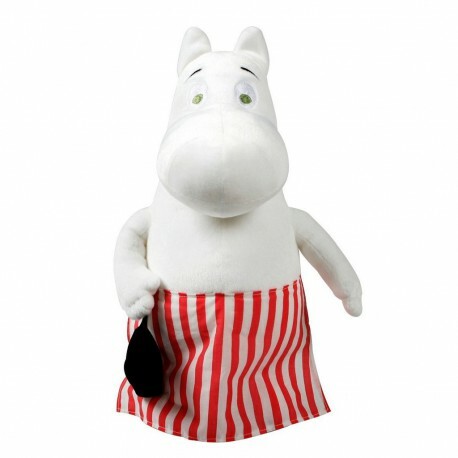 A sweet and soft white colored Moominmamma plush-toy, height 40 cm. Perfect for a little cuddling! Beautiful Moominmamma with her red and white apron and the black handbag she never leaves behind. Ready for you to make her yours.